Get your boogie woogie on at Adam Chan’s pristine and intimate hair salon that’s a cross between classic barbershop and rock ‘n’ roll haven. Whether you want a pompadour, slickback or a scumbag boogie, Chan’s got the pomade, grease, grit and cutting skills (from $320) to give you that fresh, structured, contoured look. Check out Veteran barber Lee Stephen from Liverpool as he joined The Strand in Central to add a blokey vibe to its men’s grooming floor. For those who like an old school English shave, Stephen fills the void with his classic wet shave ($350) using a range of products from Brit perfume house Penhaligon’s, a badger-hair brush and an alternation of hot and cold towels to soothe your skin. Also try out the jetlag eye treatment ($490) that’ll relieve those puffy peepers for a well-rested look. Coming from London’s Mayfair, Gentlemen’s Tonic brings with it the traditional English barber experience for the modern man who wants to look clean and fresh in a suit or in a T-shirt and jeans. All the packages here are named after great men. Make ‘The Shackleton’ ($910) your entry level experience. The 75-minute package includes a haircut with finish plus a wet shave. ‘The Rubio’ ($2,100) is a masterclass treatment, a full 165-minute experience consisting of haircut and finish, wet shave, facial, hand treatment and Swedish massage. Gentlemen’s Tonic also offers a special ‘father and son haircut and finish’ ($800) – a great way to share quality family time. Did we mention a Bloody Mary is served too? These days, many guys go for a clean, tapered cut, inspired by the tattooed-and-tough looks of the rockabilly era. 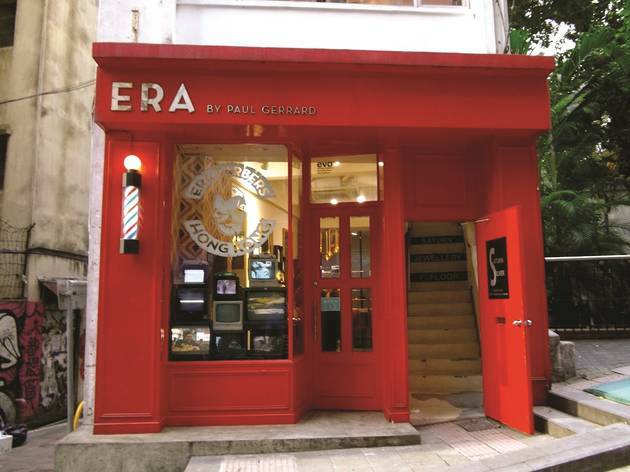 If you want to relive the days of James Dean and Elvis Presley, ERA Barbers is where you’ve got to get styled. The guys here offer a full range of services like a proper wet shave ($350) done with a straight-edge razor and hot towel, a beard trim ($250) and a classic barber’s cut ($450) for faded back and sides. The ambience of the space is also full of machismo and has a good-ol’ throwback vibe that’ll transport you back to the days of the Fonz. The Mandarin Barber’s interior flirts with a 1930s Shanghai feel and feels slightly reminiscent of a private gentlemen’s club. In fact, it’s probably the most well-known fancy mainstay in town with a full range of services available, from haircuts ($350) to wet shaves ($380) and beard trims ($160). And, throughout November, all Movember participants can get a complimentary moustache trim here. This barbershop in Causeway Bay comes steeped in history as it’s been around for about 50 years – a remnant of the Shanghainese settlement boom in Hong Kong in the 1950s, 60s and 70s. Come here for a typical crew cut or a sleek combover, or pop in for a decent shave and beard scrub. The complete haircut and shave goes for $110 with $10 per extra request. This neighbourhood barbershop offers a safe haven for men looking for a straightforward clean shave ($260-$720) and classic cut ($260-$560) with top of the line products like Penhaligon’s and Truefitt & Hill. 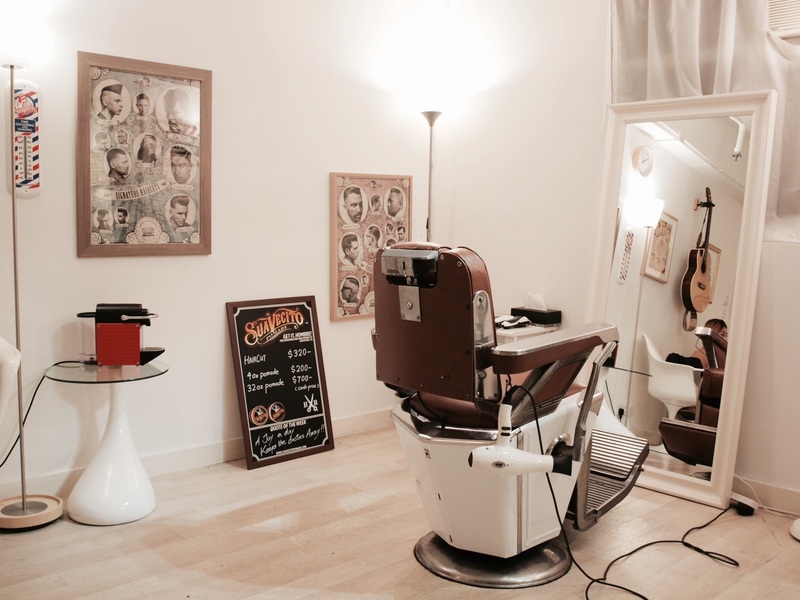 We step in for a style and cut (unfortunately we haven’t grown any facial hair to try the shave) and take in the ambience that blends old school British charm with modern industrial chic design. Our exceptionally skilled stylist, Alf, begins the experience with a no fuss, no muss forward-facing hair wash. Alf, aka ‘beard guru’, is focused and precise with his clipper and shears. We feel like living dangerously and opt for a skin fade that utilises a foil clipper and a straight razor blade for the final details, which leaves your skin smooth and provides a more striking contrast between your hair up top and along your sides.